Work Life Balance #Infographic ~ Visualistan '+g+"
Finding balance between work and life isn’t always easy. For starters, what we do for a living is such a huge part of who we are that’s literally the second thing we ask someone upon first introduction after learning their names. But just because it gives us part of our identity doesn’t mean we have to let it consume our lives. In many places in the world we are seeing an epidemic of workaholism, from people dying from overwork in Japan to France outlawing emails after a certain time of the day. Even if your life isn’t that out of balance yet, chances are you are headed that direction and you are in need of a course correction. Maintaining balance between work and life requires constant vigilance. You have to be able to assess what you want out of life, whether you are getting that, and how you can make that balance work better. 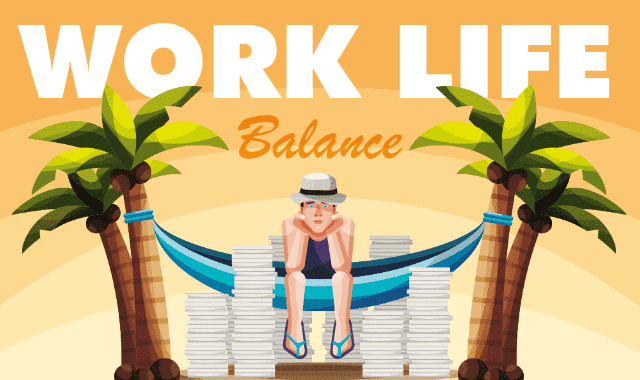 Learn more about achieving better work/life balance from this infographic!